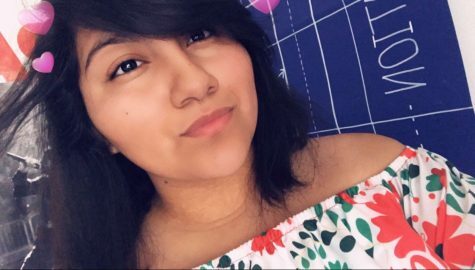 Maria Villagomez is currently a junior at Lawn Community High School. She has been in participating in clubs, such as Alliance Club, Spartan Creative Writing, Fresh/Soph Advisory, and The Spartanite. This is her first year in spartanite and hopes to strengthen her English skills in the club. She spends most of her time practicing on the swim team, writing poetry, reading a good book, and going out with friends. She also enjoys taking pictures of the outdoors, spending time with her family, and helps her church out by babysitting little kids. She plans on going to college and medical school in hopes of becoming a pediatrician.